Many of us are deeply troubled by the normalization of greed and hatred and the polarizing forces that have been recently unleashed in the world. Dismayed by the environmental devastation and social and gender injustice that come in their wake, we urgently seek ways to serve instead as unifying forces and conditions for love, generosity and harmony to flourish. To do so, it is imperative that we remain connected with our own pure potential and work honestly to purify our own minds and hearts. Through that work, we must also strengthen our commitment to act with pure ethics—and learn to act together. 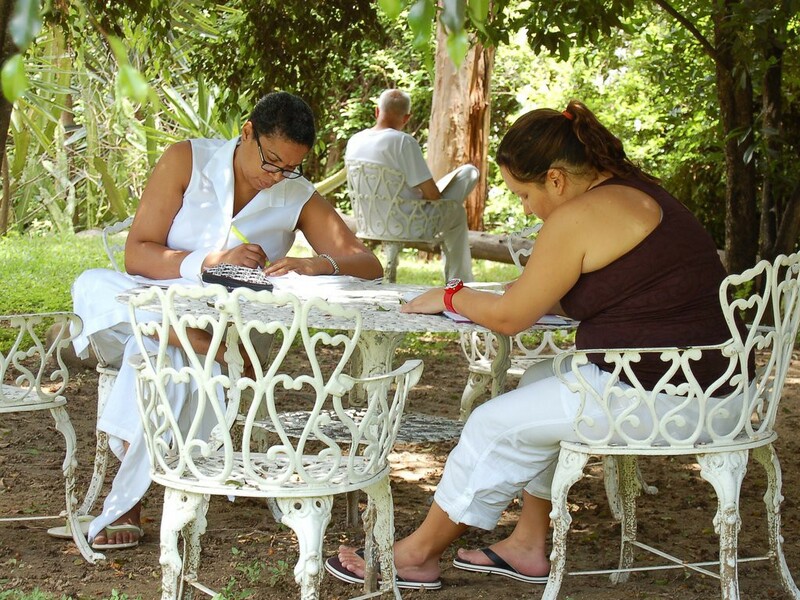 Later this year, the Dharmadatta nuns will be leading their Latin American practice community in an intensive three-month project to that end. Participation is open to all, with three ways to join: Living the Practice, Joining the Practice and Nourishing the Practice. a better world is a collective project. We invite you to form a part. Together with the nuns, a group of about forty Dharma practitioners will spend three months cloistered in an ex-hacienda in Oaxaca, Mexico engaging in strict retreat through the practice of Vajrasattva. From before daybreak until well after dark, the residential retreatants will direct all their waking activities to the processes of awakening,with sessions for formal meditation, teachings, karma yoga service and silent contemplation. Retreatants will have no contact with the outside world for three months, and will spend one month in complete silence. 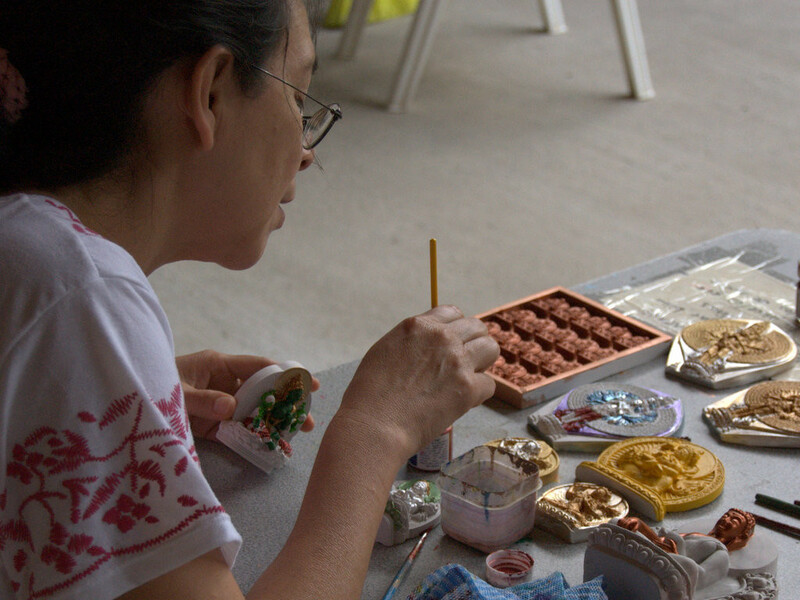 To keep this retreat within economic reach of all who wish to join, retreatants only pay their share of the costs directly associated with renting the facility, retreat materials and any meals that are not sponsored. We are committed to keeping the total cost under US$1,500 per person for the full three months. Fluency in Spanish is required to join the residential retreat. Read more (in Spanish). 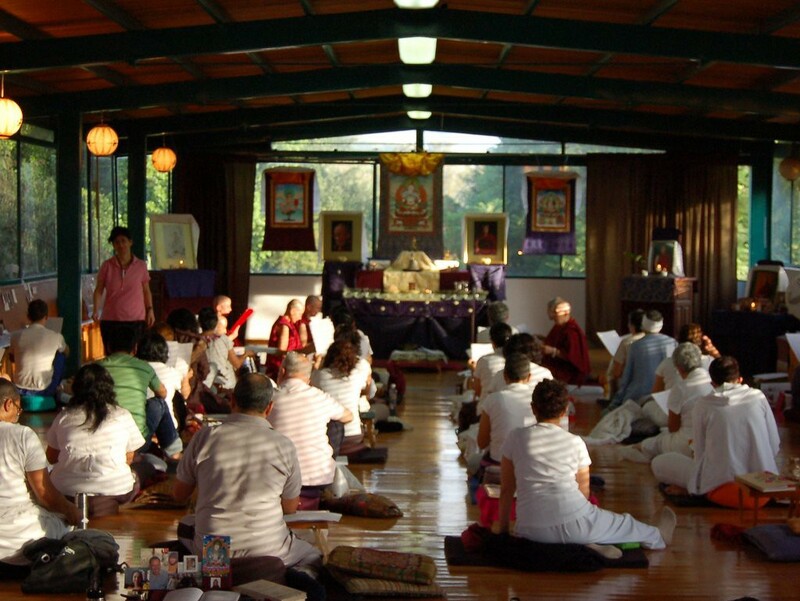 Those who sustain the bodies of those engaging in full-time practice form a vivid part of the retreat, by directly creating the energy that retreatants will use for their purification practice. At each mealtime, the retreatants read the name and aspirations of those who Nourish the Practice by sponsoring that given meal, and dedicate to them the practice they will be able to do thanks to the energy and strength received from the food. Benefactors choose the day they wish to nourish the retreatants. Since the Mexican peso is currently devalued against the US dollar, the cost to sponsor a meal for all 40+ participants ranges from $60 for breakfast to $108 for lunch. Learn more. Those unable to engage in full-time retreat can join remotely, by attending the evening session through live webcast. Distance retreatants are also invited to connect for weekly teachings and two weekend retreats, all transmitted online live from the retreat site. This distance retreat option is open to all who have received the Vajrasattva empowerment and is completely free of charge. Fluency in Spanish is required to join the distance retreat. Read more (in Spanish). As Buddhist nuns, we have taken vows to live based in simplicity, following a path of non-violence that Buddha outlined for his community. We do not engage in commercial activities, but lead a life of renunciation and service. We subsist entirely on the generosity of those who wish to support us in this way of life. If you would like to participate by contributing towards our daily sustenance and study program, we offer you this link with our sincere gratitude.